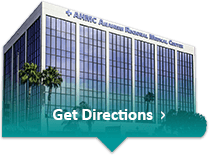 Welcome to AHMC Anaheim Regional Medical Center! We are pleased that you have chosen Anaheim Regional Medical Center to receive your medical care. We take great pride in providing our community with excellent health care services. The physicians, nurses, and technicians who practice at Anaheim Regional Medical Center are all trained in the latest technology and are devoted to serving your needs in a warm and caring environment. In an effort to make your stay at ARMC as comfortable as possible, we recommend that any special needs or requests be directed to your nurse.